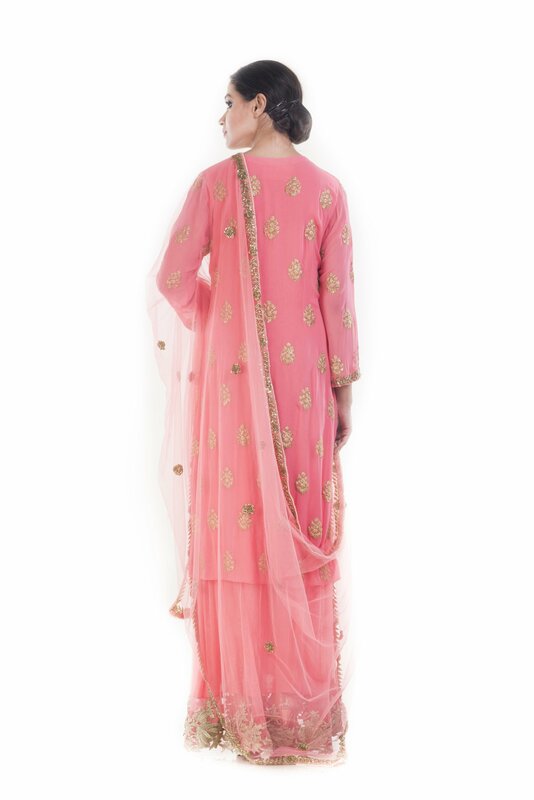 Featuring a peach ombre kurta and dupatta set. 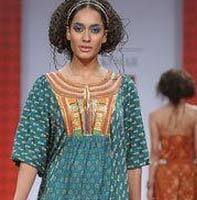 The long kurta is embellished with beautiful golden embroidery. 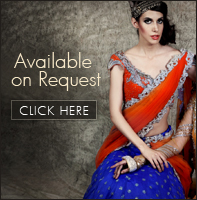 The dupatta is also adorned with similar artwork. 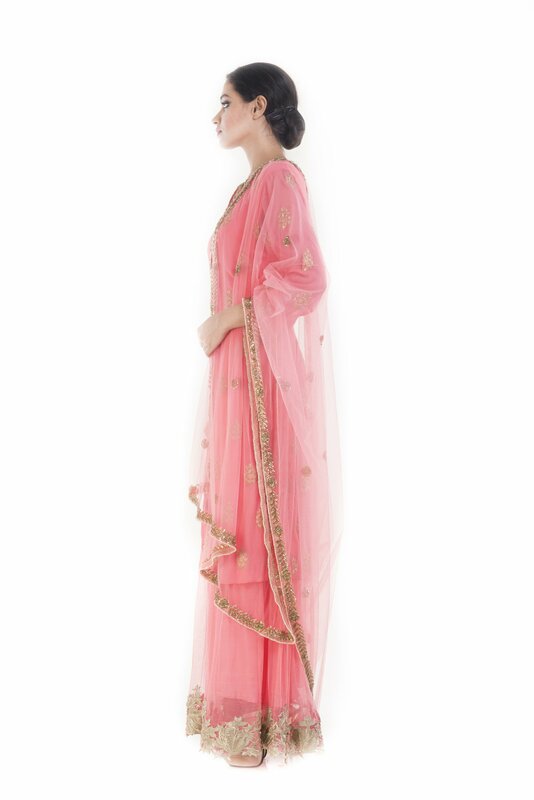 The entire outfit is adorned with embroidery of sequins, cutdana , dori and applique.